Pull up a chair and have a seat. This is the view from my side of the table! There is a bakery here outside of Houston called Great Harvest Bread Company. They offer some really incredible products. 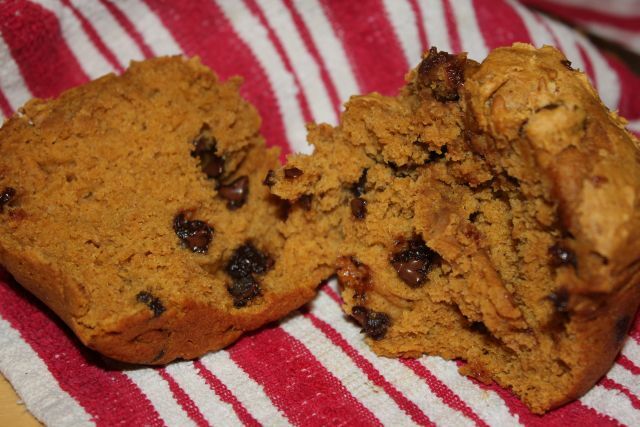 For the most part I love their Pumpkin Chocolate Chip muffins. They are very good but a little dense for me. 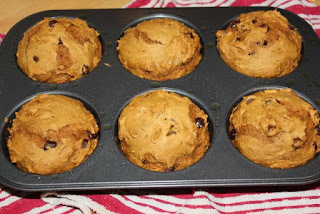 Another thing that makes me back off from them is that they are $3 each and they are 660 calories each (supposable they are 2 servings per muffin). I wanted to see if I could make something similar to the Great Harvest Company’s Pumpkin Chocolate Chip Muffin. I remembered a Weight Watchers recipe I saw online a few years ago that I thought might work to replicate this recipe. What’s so great about this recipe is that its egg free and oil free which helps elevate some of the calories. 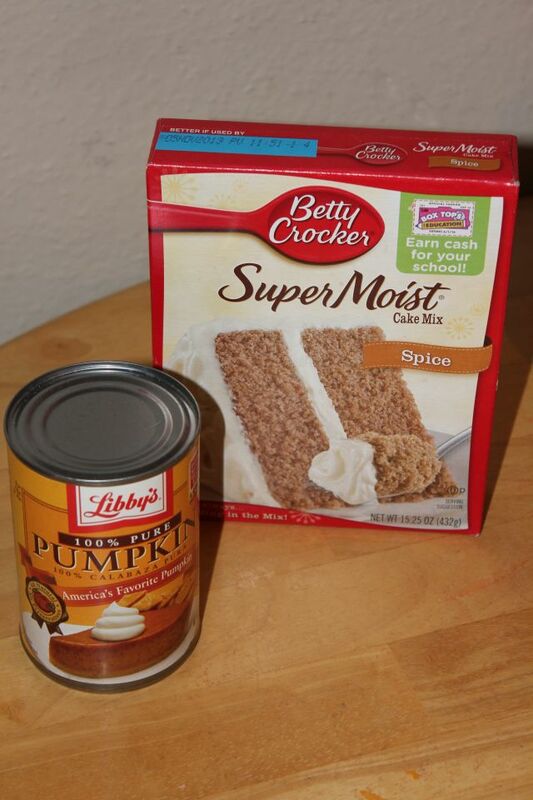 Three ingredients and that’s it! 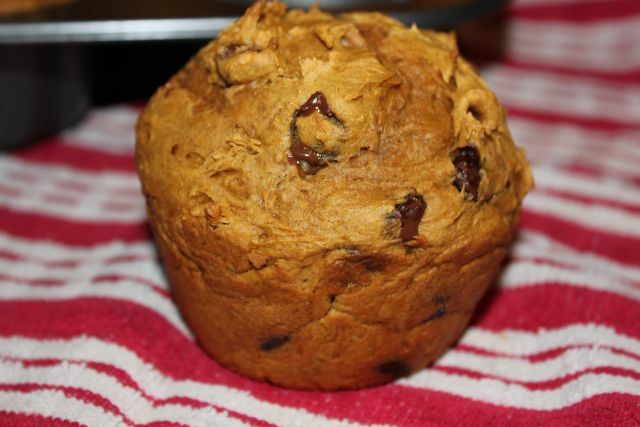 An entire jumbo muffin is 357 calories! Wow much better! It’s very filling so you can get away with just the muffin for breakfast. If you need a little more you could add a side of fruit to keep your calories down. These muffins blew me away! They are sooooo good! I made them jumbo to make them easy to carry to school for breakfast. You could make these any size which would cut down the calories … depending on how many you eat! Good luck with that one. 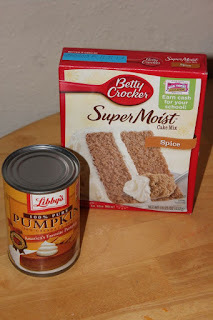 Place cake mix and pumpkin in a bowl and mix. Check for it to be done with a toothpick to make sure it comes out clean. Allow to cool at least 15 minutes. Thank you for visiting Colie's Kitchen we are looking forward to hearing from you. Colie's Kitchen by Colie's Kitchen is licensed under a Creative Commons Attribution-NonCommercial-NoDerivs 3.0 United States License. Based on a work at www.colieskitchen.com Copy 2008-2018.